When Leonard presents a collection, everything about it exudes innovation. From the fabrics and printing techniques to the weaving, sewing and, of course, the designs – each element has to be new or re-worked. After the success of the fully-fashioned sweater, a new one arrived – in a light, crease-resistant fabric that Daniel had discovered in Italy: silk jersey. Warm in winter and cool in summer, this surprising fabric has been a staple in the Leonard wardrobe ever since 1968, when Leonard presented its first collection of printed silk jersey dresses. Leonard’s capacity to evolve and adapt has allowed the brand to solidify its reputation internationally. 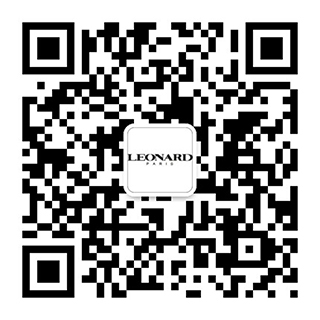 Leonard is a perfect marriage of innovative know-how and master craftsmanship. A Leonard dress is unique. A Leonard design is an exception. A Leonard creation is incomparable. These characteristics have created a universe of inimitable prestige. The orchid, a remarkable catleya, is a rare flower of precious, irresistible beauty – and Leonard’s distinctive emblem.